We could talk for DAYS on end, but don't want to waste your time, so, please just watch the Videos and you have all the information explained to you, directly from the horse's mouth. - If a picture is more than a 1000 words, now how about over a 1000 pictures ?? Wake up World, this is not just a Coincidence !! Cellphone Tower causes tree to die ! How can this be possible, if NON-IONIZING RADIATION is not dangerous? RESONANCE - Beings of Frequency is a sensational journey, which reveals 60 years of scientific research into the harm being caused to life by man made wireless frequencies. As if 1 Cellphone Tower is not enough in your area, which can be shared by multiple companies, they are fighting about the best places to set up new and more masts continuously and want to put up their own, to make the most money with it. This is effectively putting us all HUMANS, ANIMALS and PLANTS in a very STRESSFUL SITUATION - a real Onslaught of ELECTRO-MAGNETIC RADIATION from virtually all sides. - If you don't believe me, please just go outside (not in the street! ), stand still and make a slow 360° turn carefully observing all the cellphone masts and antennas. Well this would mostly not even include the hidden ones and the small Wi-Fi masts, which are also affecting you. What is all the Fuss about 4G/LTE? 4G is far worse than 3G !!! The frequency is still the same, but the DATA RATE is far HIGHER, thus the IMPACT on LIVING CELLS is higher, too !! Cell Phone Towers a Possible Cause for Cancer? Just a cell phone tower… or is it? 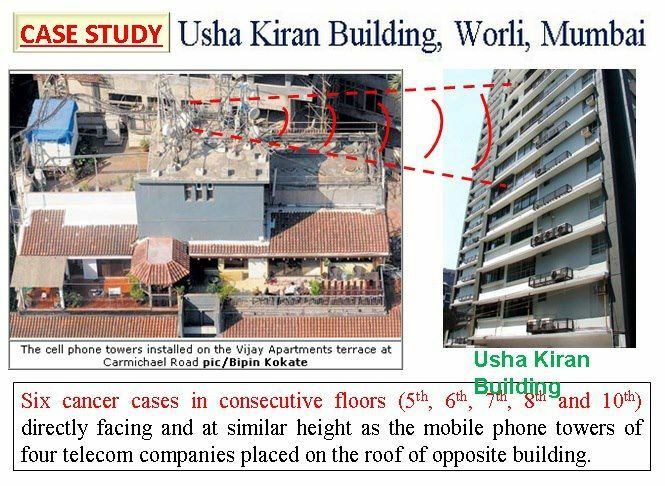 Are cell phone antennas on apartment buildings safe? Cell Phone Towers used for Mind control? 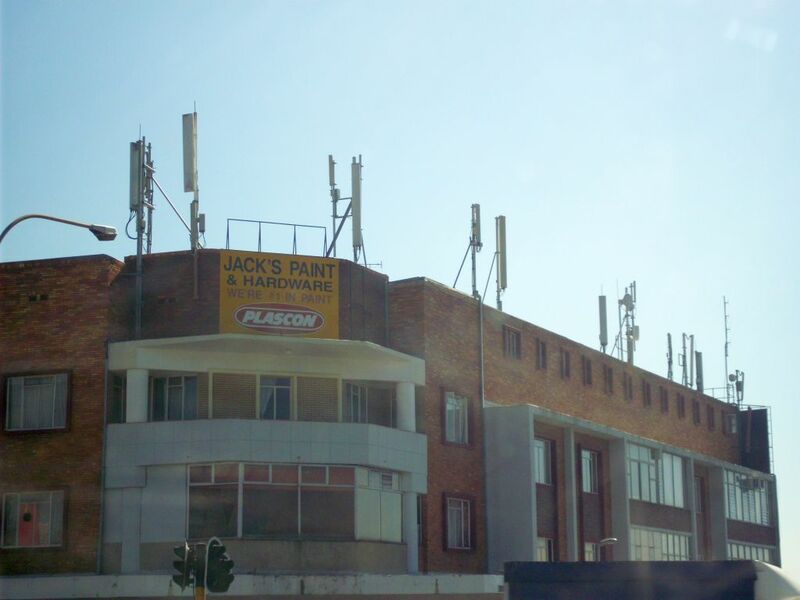 ►►►Scorched tree poser for cellphone giant◄◄◄ — A woman in Johannesburg (South Africa), believes the imminent roll-out of 4G / LTE cellular telephony could have massive health implications. Cell Phone Towers for Mind Control — Conspiracy or Reality ??? Bees & Microwaves don't mix !!! In May of 2011, the IARC - International Association for Research on Cancer declared Radio Frequency radiation as a possible cause of cancer. In this video you will listen to excerpts from the press conference and the related microwave Radio Frequency radiation emitted by cell phones and cell towers. You will then be able to determine for yourself that living close to cell towers might be a possible risk to your health. To download the studies that are mentioned in the video select the links below. The rate of breast cancer in Western countries is 10 percent higher in the left breast than in the right. This also is true for the skin cancer melanoma. Researchers have suggested a surprising explanation for this — and for the dramatic increase in rates of breast cancer and melanoma over the past three decades. In Japan, there is no correlation between the rates of melanoma and breast cancer, and there is no left-side prevalence for either disease. The rate of breast cancer in Japan is also significantly lower than in the West. This may be due to differences in sleeping habits in Japan and Western countries. Previous research has shown that people prefer to sleep on their right sides, possibly as a way of reducing weight stress on the heart. This is most likely the same in both the East and the West, but the futons used for sleeping in Japan are mattresses placed directly on the bedroom floor, in contrast to the elevated box springs and mattress of beds used in the West. Consider, however, that even a TV set cannot respond to broadcast transmissions unless the weak electromagnetic waves are captured and amplified by an appropriately designed antenna. Antennas are simply metal objects of appropriate length sized to match the wavelength of a specific frequency of electromagnetic radiation." In the U.S., bed frames and box springs are made of metal, and the length of a bed is exactly half the wavelength of FM and TV transmissions. The maximum strength of the field develops 75 centimeters above the mattress, so when sleeping on your right side, your left side will be exposed to the highest field strength. Trent University toxicologist Dr. Magda Havas is our special guest in this episode. Dr. Havas is a leading researcher who has been studying the health effects of non-ionizing electromagnetic energy at the extremely low frequency range (50/60 Hertz) and at the radio frequency range commonly associated with wireless telecommunication. In this interview, she discusses aspects of wireless technology that the mainstream media, the telecommunications industry and Industry and Health Canada - and elsewhere - don't want you to know about. Are the cell towers and antennas popping up all over the country - -the very ones that we depend on for clear reception and a wide coverage area — safe? This may have been a moot issue in the past when the towers were sparse and limited to obscure cornfields and hilltops. But the number of these cell "sites," as they're called, has increased tenfold since 1994. Among the more than 175,000 cell sites in the United States are antennas on schools, churches, firehouses, cemeteries and national parks. There's even a cell tower near Old Faithful in Yellowstone. "Don't Put That Tower Here"
"Our companies are always running into this conundrum, which is, 'We want cell phone service, but don't put that tower here.' When you're dealing with communications through the air, you have to have antennas and towers," said Joe Farren, a spokesman for CTIA-The Wireless Association, the industry's trade group. Aesthetics aside, the primary reason most people don't want cell sites near their homes and communities is because they're afraid of the potential health effects. Already, more than 500 cases have sprung up across the country in which people have tried to stop cell phone sites from being constructed, according to Washington attorney Ed Donohue, who represents several cell phone companies. Most of the time, the cell phone companies win because, as it stands, federal law does not allow rejection of a tower based on health risks. http://www.emfnews.org Cell Phone Towers: dangerous or not? If you ask the government, no studies have shown conclusive evidence that radio-frequency emissions, a form of electromagnetic radiation (EMR), from cell towers are harmful. "RF [Radio frequency] exposure on the ground is much less than exposure very close to the antenna and in the path of the transmitted radio signal. In fact, ground-level exposure from such antennas is typically thousands of times less than the exposure levels recommended as safe by expert organizations. So exposure to nearby residents would be well within safety margins." Cell phone companies also maintain that no risks exist from the towers. "There are no health risks posed by the towers. Independent scientific panels around the world have reached this conclusion," said Russ Stromberg, senior manager of development at T-Mobile. • A study by Dr. Bruce Hocking in Australia found that children living near three TV and FM broadcast towers (similar to cell towers) in Sydney had more than twice the rate of leukemia than children living more than seven miles away. o "Public health surveys of people living in the vicinity of cell site base stations should be being carried out now, and continue progressively over the next two decades. This is because prompt effects such as miscarriage, cardiac disruption, sleep disturbance and chronic fatigue could well be early indicators of the adverse health effects. Symptoms of reduced immune system competence, cardiac problems, especially of the arrhythmic type, and cancers, especially brain tumor and leukemia, are probable." • Biomedical engineer Mariana Alves-Pereira has said "From what I understand, some of the complaints are similar in what is seen in vibroacoustic disease patients, which are people who develop a disease caused by low frequency noise exposure," she said. Symptoms can include mood swings, indigestion, ulcers and joint pain. • Dr. Gerard Hyland, a physicist who was nominated twice for the Nobel Prize in medicine, says, "Existing safety guidelines for cell phone towers are completely inadequate … Quite justifiably, the public remains skeptical of attempts by governments and industry to reassure them that all is well, particularly given the unethical way in which they often operate symbiotically so as to promote their own vested interests." • According to the Mount Shasta Bioregional Ecology Center, "Studies have shown that even at low levels of this radiation, there is evidence of damage to cell tissue and DNA, and it has been linked to brain tumors, cancer, suppressed immune function, depression, miscarriage, Alzheimer's disease, and numerous other serious illnesses." Why would a church, school or other private property allow a cell phone antenna to be placed on the grounds? Cell phone companies pay "rent" for their placement that can range anywhere from $800 to $2,000 a month. This can mean all the difference for an under-funded school district or church. Still, many people are wary that the incentives do not come close to matching the potential risk involved. This includes the International Association of Fire Fighters who, in 2004, came out against the use of firehouses for cell antennas "until a study with the highest scientific merit" can prove they are safe. These sentiments are echoed by residents of St. Louis where T-Mobile plans to put a cell site on an 89-year-old church. "That revenue is in exchange for our potential well-being, our peace of mind and our property values," said resident David O'Brien. "None of us are willing to take that risk." When Mom asked me to look into possible health hazards posed by cell phone panel antennas that a church in her neighborhood wants to put up, I expected to find reassuring facts to allay Mom's concerns. Instead, I found deeply disturbing data that makes me wonder why the public is not being informed about health risks and why our government seems intent on covering up troubling truths. Cell phone companies and the U.S. Food and Drug Administration assert that cell phone towers don't pose health risks to the public. Some studies support this assertion, but other studies suggest just the opposite. Harvard-trained Dr. Andrew Weil at the University of Arizona's medical center recently observed, "In January 2008, the National Research Council (NRC), an arm of the National Academy of Sciences and the National Academy of Engineering, issued a report saying that we simply don't know enough about the potential health risks of long-term exposure to RF energy from cell phones themselves, cell towers, television towers, and other components of our communications system. The scientists who prepared the report emphasized, in particular, the unknown risks to the health of children, pregnant women, and fetuses as well as of workers whose jobs entail high exposure to RF (radiofrequency) energy. Because so much of cell phone technology is new and evolving, we don't have data on the consequences of 10, 20 or 30 years worth of exposure to the RF energy they emit," Weil concluded. The report called for long-term safety studies on all wireless devices including cell phones, computers, and cell phone towers. A 2006 report issued by the World Health Organization (WHO) offered some reassurance and found no scientific evidence that radiofrequency signals from cell towers cause adverse health effects. The report noted that up to five times more of the RF signals from FM radio and television (than from cell towers) are absorbed by the body with no known adverse effects on health in the more than 50 years that radio and TV broadcast stations have been operating. But an Australian study found that children living near TV and FM broadcast towers, which emit similar radiation to cell towers, developed leukemia at three times the rate of children living over seven miles away. If you live within a quarter mile of a cell phone antenna or tower, you may be at risk of serious harm to your health, according to a German study cited at www.EMF-Health.com, a site devoted to exposing hazards associated with electromagnetic frequencies from cell phone towers and other sources. Cancer rates more than tripled among people living within 400 meters of cell phone towers or antennas, a German study found. Those within 100 meters were exposed to radiation at 100 times normal levels. An Israeli study found risk of cancer quadrupled among people living within 350 meters (1,148 feet) of a cell phone transmitter and seven out of eight cancer victims were women. Both studies focused only on people who had lived at the same address for many years. I trained at the Governments Microwave Warfare establishment in 60's. I worked with the underwater bomb disposal unit, which used microwaves. In the 70's I helped de-brief spies trained in microwave warfare. My second degree is a research degree. I have a teaching diploma in human physiology. I teach advanced physics and mathematics at South Dartmoor College. Author of the Tetra Report for the Police Federation. I predicted the illnesses, which the officers now complain of. I predicted the illness's the residents now complain of. These are illness's that occurred before my report was published and cannot be psychosomatic. At a conference in Birmingham I said " This Government, Industry and Government Scientists will be responsible for more deaths (of civilians) in peace time than all the terrorist organizations ever." The evidence I have is showing this is correct. I put my money where my mouth is and stand my ground. I would like those who sign to say it is" and should go ahead, to stand trial in future years for their decisions. (AT TETRA STRENGTH) are and have been used to cause illness's now occurring in residents / police officers? At this point in time it is now into the germ warfare programme. If microwaves did not affect cells, this industry would not exist at all! No microwave communications system can e safe, especially TETRA. They are the same power as in the warfare industry and in Tetra's case the same pulse rate. do not take any responsibility. That falls on the Landowner and the user (Police Officer) who "volunteer's" to use it as part of the 10 & 15 year cancer trial. TETRA has a possible outlet of 32 Countries and 52 organisations within this Country, at present. It must be stopped until there is a full judicial and public hearing into every aspect of this industry. Not as in "Hansard" where the Minister in response to questions say's "It is within Government guidelines". Which is based only on how warm you get: and even then it is wrong. Somebody, somewhere, must stop what could be the biggest cause of illness around the World since the plague. This must go public without fear/prejudice from those in a position of power. The evidence is already to hand and proof can be obtained experimentally. In a few days. I will do it. It is time that the intelligence of the general public was recognised and their wishes were respected. As opposed to Governmental pressure from an intimate relationship with Industrial Power/Money, on planners. 11 children leaving a school (sick) in Sussex. 11 Leukaemia and 3 Motor Neuron Diseases around a TETRA mast in East Fife. 90 illness's in Dersley around a new TETRA mast. Sadly, in each case, neither the Police nor Industry could attend the MP's 'call' for a meeting. In Sir William Stewart's report page 113, frequencies between 300 MHz and 300 GHz are defined as microwaves. This is in line with the International Commission's definition of microwaves as defined in 1998. Therefore everything discussed in this report is in the microwave frequency. Microwaves react very differently in our water-based bodies to radio waves. The term 'Radio Frequency' is often used to describe microwaves based communication systems. It is important that the term 'Radio Frequency' is not associated with Radio Waves, but associated with microwaves. Microwaves are used by the communications industry because they are more penetrative than radio waves. The Stewart Report 2004 asks that anecdotal evidence be taken seriously in the absence of long-term epidemiological studies, concerning illnesses around the area of mobile phone transmitters. Such anecdotal evidence produced July 2002 refers to 92 cases of cancer around just 19 mobile phone transmitters. Other illnesses on the same paper refer to breast cancers, thyroid, bowel and blood problems. 8 cases of cancer were confirmed among children in the district. Common sense dictates that if you surround the school with mobile transmitters, the children will be able to use their mobile phones in school, this obviously exacerbates the problem of surrounding the children with microwave radiation. be commensurate with the system…. the school grounds or buildings without agreement from the school and parents. 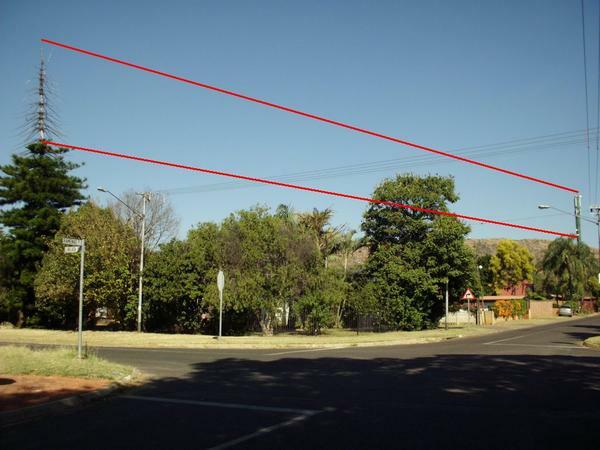 Similar considerations should apply to macro base stations sited near school grounds. and December 2004, titled 'Putting Cellphone Antennas near schools is too Risky'. This report states:…..with respect to negative health effects on people living in close proximity to cell phone towers, there are three different epidemiological studies including our recent study. All of them found statistically significant relationships between exposure to radiation and health effects. It is worth mentioning that the ICNIRP Guidelines also the NRPB Guidelines are based purely on the thermal effect of the waves. No account what so ever is given to the effect of the electric and magnetic of the wave interacting with the physiology of the body. The WHO's Guidelines are based on the short-term effects of this radiation. No long-term experiments have been done in terms of safety levels. Further, no experiments have been done to determine the safety levels from the pulsed microwaves exhibited by all microwave communication systems. Doctor Oberfield's report concludes…..as a general rule cell towers should not be placed near schools. The recent Stewart Report on page 31, states: 'Where a base station is to be installed near a school or college, local consultation is also required prior to the submission of an application for Planning Permission'. Page 53, continues…we also recommend that the mobile phone industry should refrain from promoting the use of mobile phones by children. Placing mobile transmitters in the vicinity of schools cannot discourage the use of mobile phones by children. Only this last Christmas the German VERUM Group which consists of twelve research groups from seven countries, concluded that mobile phones cause DNA damage. It can be argued that as responsible adults in charge of Planning, giving the opportunity to children to use mobile phones, some responsibility MUST fall on the Planners for the scientific ignorance of the children. Referring back to semi-scientific and/or anecdotal evidence concerning masts, at this present time in Osafia, Israel in the last four years, 165 people have died of cancer from living in the vicinity of antennas. This has now become a legal case. Scientific research by Dr. John Walker has highlighted cancer clusters within the 'footprint' of base station transmissions. Coloured photographs of cancer clusters can be found in the main part of base station beams. Theoretically, looking at this research, which has covered several transmitters, it should be possible to predict future cancer clusters. the tower, and the area outside it. Tumours were found in patients living within 400m of the base station three times more frequently than among patients living outside. 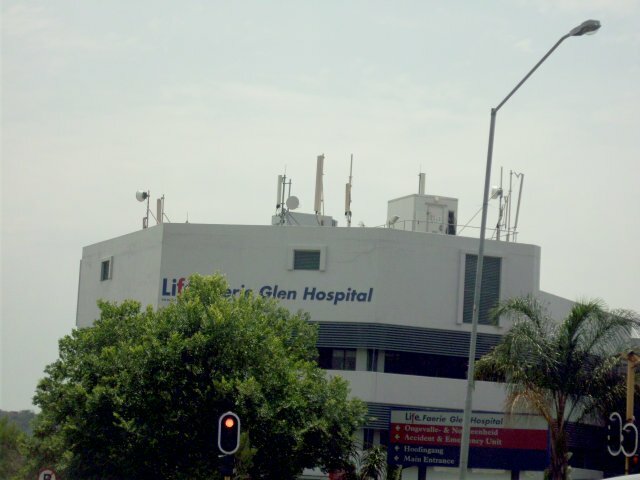 who had lived during the past 10 years at a distance of up to 400 m from the transmitter site, and that the patients fell ill on average 8 years earlier. Click 'Subscribe', rate and share if you like the information. Click 'Show more' for additional information. Interview with Barrie Trower November 13, 2010. Barrie Trower is a former Royal Navy Microwave Weapons Expert and former cold-war captured spy debriefer for the UK Intelligence Services. Mr Trower is a conscionable whistle-blower who lectures around the world on hidden dangers from microwave weapons and every-day microwave technologies such as mobile-phones and WiFi. Mr Trower has also repeatedly assisted the UK Police Federation in their struggle to protect police officers from Tetra/Air-Band radio-communications systems that are harmful to health. Do cell phones cause cancer? The legal dispute over it is multiplying after the World Health Organisation said cell phone radiation is linked to brain cancer. The government is readying new laws and rules but as we're about to show you, consumers are still at risk. Just a cell phone tower... or is it? I'm not here to re-prove the existence of mind control and extremely harmful frequencies being pumped into the masses of society by cell phone towers. That is for your own clarity of awareness, to chose or not any further investigation. At some point cell towers will change into non-life threatening devices. Of course that is also for you to chose according to your daily actions being for or against such "in plain sight harmful devices." I have been able to generate plant deformities by exposing them to commonly found radiation fields in the home. I am now in the process of trying to see if those deformities can be changed back to the original growth by radiation shielding. This applies in particular to cell phone tower radiation, as I have noticed that I have several cell phone transmitters near to my home. Studies of human health are starting to find excessive sickness in people that live within one mile of cell phone towers.